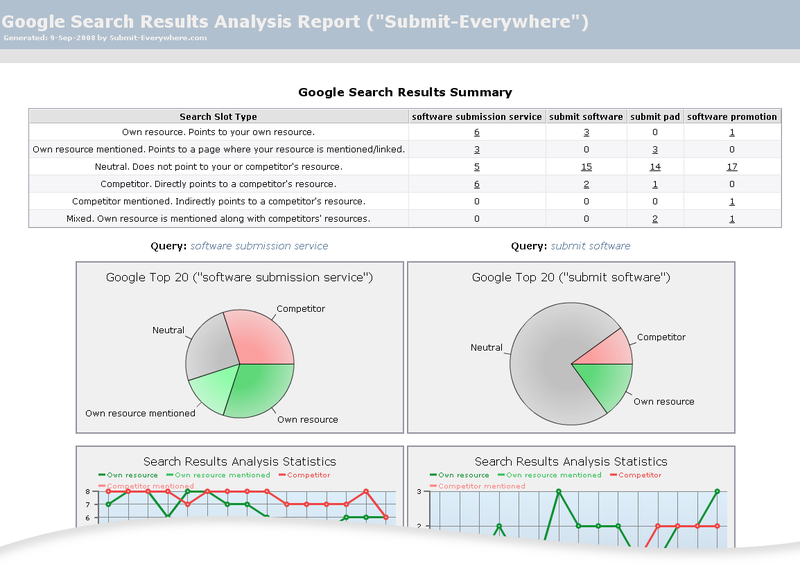 We analyze your and your competitors web presence by a wide range of parameters. To obtain higher positions in the search results for your own site. To have more slots in the search results pointing to your site. To push your competitors out of the search results. We provide you with weekly reports that allow you to analyze the current situation and to see the trends. You can specify up to 4 different key phrases per report. Please see a sample report below. It was made for this very site ( Submit-Everywhere.com) by the following key phrase: software submission service.